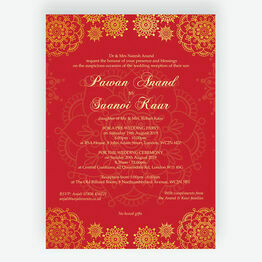 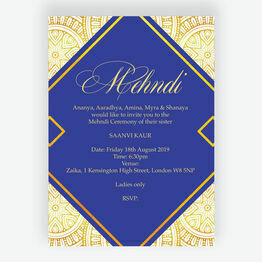 There's very few ceremonies more vibrant and exciting than a traditional Indian wedding. 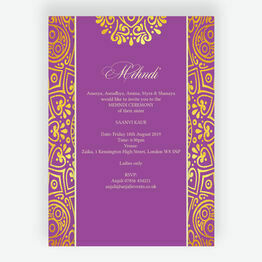 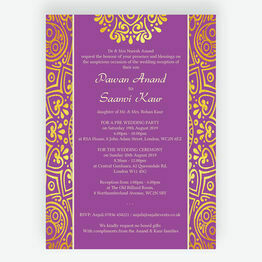 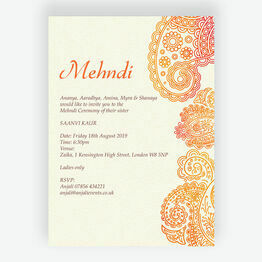 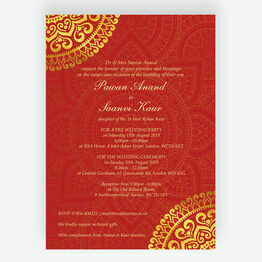 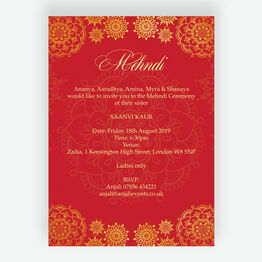 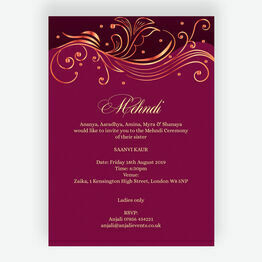 From Mehndi and Baraat style cards to spiritual Mandala stationery, there's something here for any Asian and Indian inspired occasions. 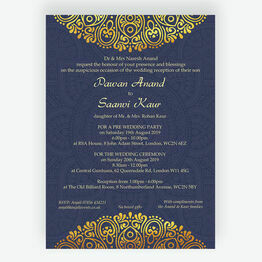 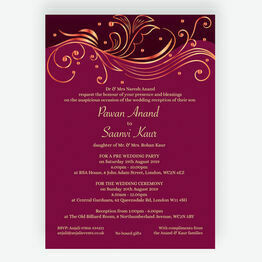 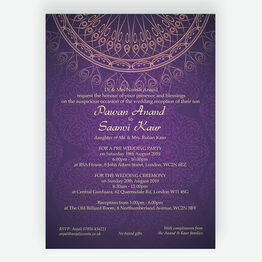 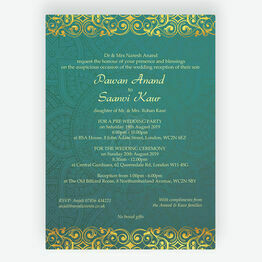 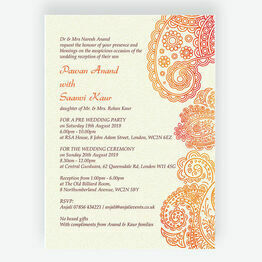 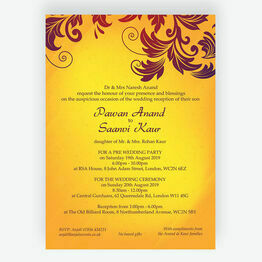 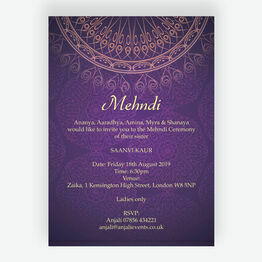 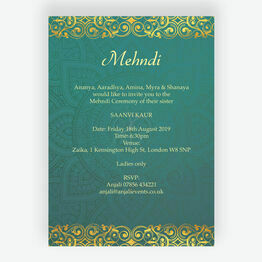 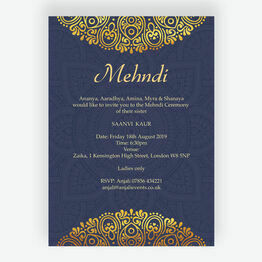 Choose from our wide range of ornate invites and favours to transform your special day and choose a printing option to suit you.